Garret received his B.S. degree from University of Washington in 2000 and his Ph.D. in Neurobiology from UNC Chapel Hill in 2005 where he worked with Regina Carelli and Mark Wightman. He completed his postdoctoral work with Antonello Bonci at UCSF where he learned slice electrophysiology and established optogenetic approaches to study neural circuit function. Garret started the lab in 2010 in the Department of Psychiatry and Neuroscience Center at UNC. In 2018 the Stuber Lab moved to the University of Washington to join the newly formed center for the Neurobiology of Addiction, Pain, and Emotion and the Departments of Anesthesiology and Pain Medicine and Pharmacology. He has co-authored over 75 papers on the neurocircuitry underlying motivated behavior. While not in the lab Garret spends time with his family and enjoys cycling and traveling. Vijay got his Ph.D. in the lab of Marshall Hussain Shuler at Johns Hopkins University. In the lab, he studied how humans and animals process time and include it in their decisions. His work involved in-vivo single unit electrophysiological recording and optogenetics in awake, behaving rats in a timing task that he developed. He showed that neurons in the primary visual cortex can encode an interval and that modifying this representation is sufficient to perturb behavior. He also developed theoretical models of how we perceive time and how it affects the decisions that we make, along with developing some human psychophysics tasks to address these questions experimentally in humans. In the Stuber lab, he is interested in how these computations are performed in the brain by studying the circuitry and connections of ventral tegemental area, along with its encoding of behavioral decisions. Mark is interested in understanding how the brain orchestrates motivated behaviors. As a graduate student of Henry Yin at Duke University, he used in vivo electrophysiological recordings and optogenetic manipulations to study how the basal ganglia control appetitive and consummatory behaviors in mice. In the Stuber lab, Mark plans to study the lateral hypothalamus and related circuitry to identify and understand specific neural circuits that contribute to feeding behavior. Elevated anxiety is the hallmark of many psychiatric disorders. This increase in anxiety is believed to be caused by dysfunctional neuronal circuits. During Jose’s postdoctoral training in the Stuber Lab, he plans to incorporate novel methods to determine how specific neuronal populations contribute to distinct anxiety-like behaviors. 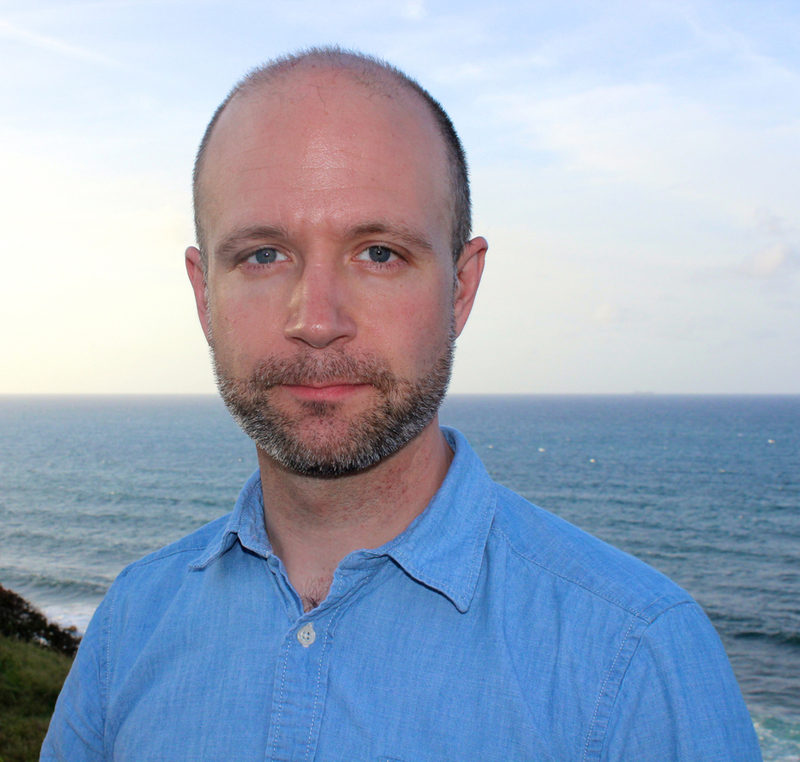 Prior to joining the Stuber Lab, he worked in the laboratory of Gregory Quirk at the University of Puerto Rico studying the neural circuits of conditioned fear and avoidance. Ivan studies the neural circuitry of reward, motivated behaviors, and decision making. He is particularly interested in the role of these circuits in impulse control disorders such as addiction and compulsive overeating. He got his Ph.D. at Concordia University in Montreal, under the supervision of Peter Shizgal. He used a combination of pharmacology, electrical and optical stimulation, and mathematical modeling of behavior to dissect different computational stages of reward processing in the midbrain and its afferents. During his postdoctoral training at the Stuber lab, he will use cutting edge strategies to stimulate, inhibit, and record from specific reward-relevant neurons during operant behavior to further dissect the neural circuitry underlying reward and feeding. Two opposing characteristics of neuronal circuits, ‘hard-wired’ and ‘plastic’, maximize the survival and reproduction of animals. Koichi conducted his Ph.D. training in Norio Matsuki’s lab at the University of Tokyo on the study of neural mechanisms of taste associative memory formation (plasticity) by using pharmacogenetics. In his early postdoctoral training in Dayu Lin’s lab at New York University, he shifted his research focus on dissecting circuits for stereotypical social behaviors. As Koichi transitions from his postdoctoral studies, he is interested in investigating how rigid neural circuits could have flexibility by reflecting the internal states of the animals. This requires multidisciplinary approaches such as utilizing molecular genetics, imaging, and functional dissection tools, and he hopes to gain experience with these techniques in the Stuber lab. Rhiana received her B.S. in Neuroscience from the University of Alabama at Birmingham. During her undergraduate pursuits, she worked in the lab of Jeremy Day, where she examined the role of noncoding RNAs in neuronal activity. Studying noncoding RNAs such as enhancer RNAs, which are often expressed in a tissue- and context-specific manner, inspired her interest in genes and other factors underlying cell identity. She is currently learning drop-seq and other fundamental neuroscience techniques to target discrete cell populations in the brain. Our social world exerts powerful influence on our both our physical and mental well-being. This strong influence stems from the potential for social experiences to modulate the development and maintenance of neural circuits that regulate motivational states, emotional processing, and cognition. Given the strong connection between mental health and positive social support systems, Marcus is interested in understanding the neural mechanisms that underlie the development of the social brain and how the proper development and functioning of such circuits contributes to adaptive psychological processes. Conversely, he is also interested in how adverse life experiences, both of a social and non-social nature, contribute to dysfunctions in brain network activity that ultimately results in psychopathological disease states. Randall graduated from the University of North Carolina at Chapel Hill in 2010 with degrees in Mathematics and Biology. He is currently an MD/PhD student in the lab and is interested in understanding how neural mechanisms translate into both normal and aberrant phenotypes. Specifically, he aims to decipher how prefrontal cortex and related subcortical areas coordinate behavioral states under conditions of stress using innovative approaches in imaging and computation. Outside the lab, Randall enjoys spending time with his wife and two dogs, eating food, and doing random projects. Oksana is the Stuber Lab Manager. She is the glue that keeps us together. Oksana is in charge of overseeing the day to day functions of the lab, as well as assisting with experiments. She is an outstanding person to work with, and she knows where to find the best strawberries in town. Yoshiko's expertise is in the molecular analysis of data on behaviors such as female aggression and reproduction. Rose graduated from Wake Forest University in 2017 with a B.S. in Biology. As an undergraduate, she worked with Wayne Pratt, focusing on the effects of pharmacological manipulation of CB1 receptors in the nucleus accumbens on consummatory and appetitive feeding behavior in rats. She is interested in pursuing graduate studies in behavioral neuroscience, but is first taking some time off from school to learn about all the cool neurocircuitry technologies in the Stuber Lab. Chichi Zhu works with Jose Rodríguez-Romaguera investigating anxious behaviors in mice. Jenny Montoya works with Marcus Basiri. Keegan Hahn works with Randall Ung. Rizk Alghorazi is double majoring in Biology (B.S.) and Psychology (B.S. ), with a minor in Neuroscience. In the lab, he works closely with Vijay Namboodiri, studying learning in the Orbital Frontal Cortex and the projections to the Ventral Tegmental Area. In the future, he is interested in studying neurological disorders such as epilepsy. He is also interested in studying the neural circuits that are involved in motivation, through the techniques he has learned in the lab.